It’s the holiday season right now, but it’s always the right season to adopt a new furry family member! The dogs at Orphans of the Storm® are ready to celebrate the holidays with a family to call their own. Several of the dogs I met this week recently lost their original homes, but that just makes them all the more ready to join a new one! King the five-year-old Shepherd mix is such a good boy. He was super easy to take out of his kennel, and super easy to put back in. 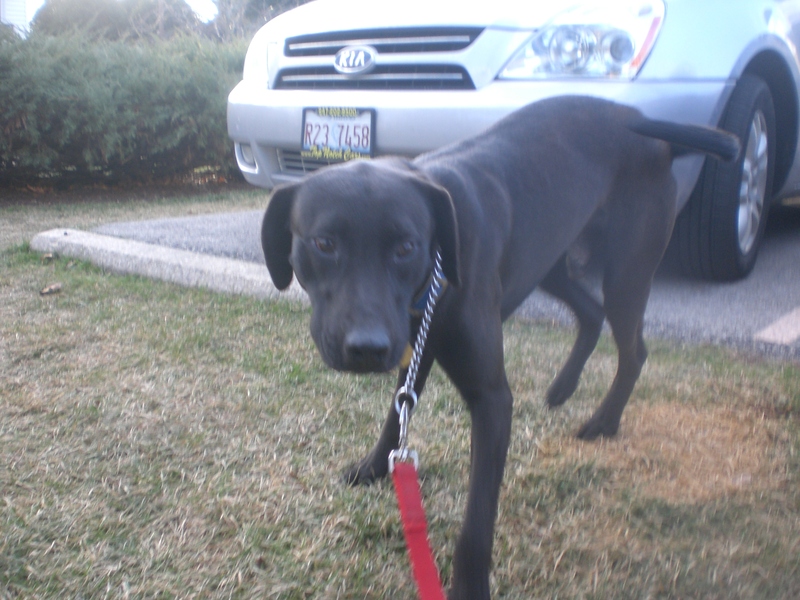 He walks pretty well on the leash, though he was a little shy and skittish when we first started our walk. King is a handsome boy, too, with a bit of a fox-like appearance and soft, fluffy fur. King started off by exploring the run on his own, but after a few minutes he warmed up to me and became such a snuggler! He attempted to climb into my lap and leaned all of his weight against me while I pet him, and he even gave me a few doggy kisses. This sweet boy will become such a loyal companion to his new owner. 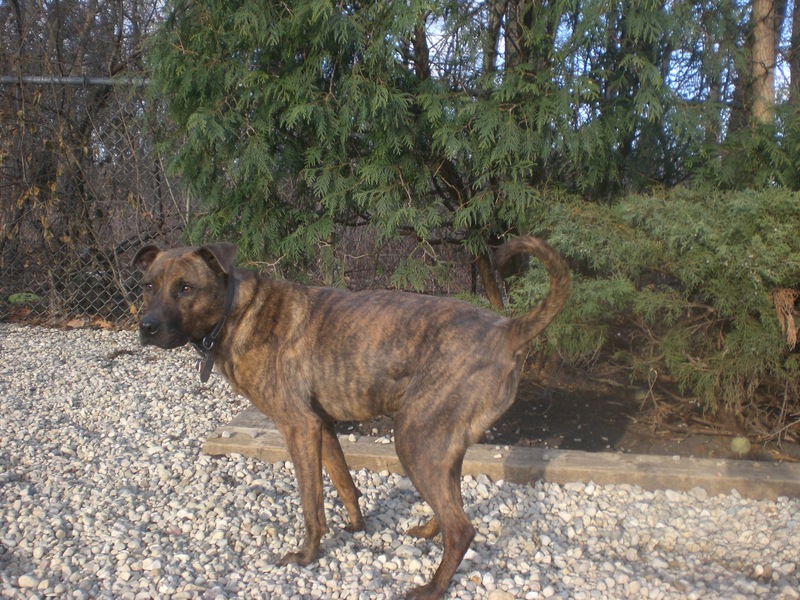 Come in soon to see if King is the pooch for you! 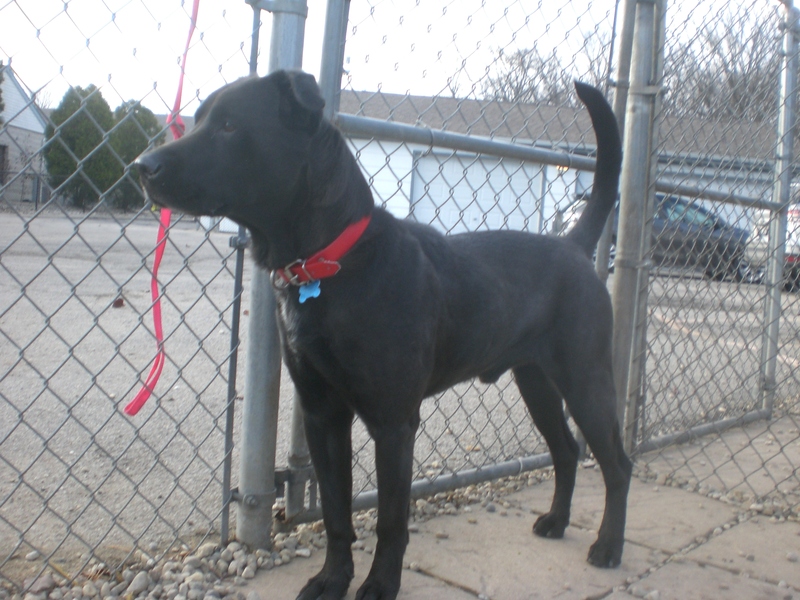 Gordon the five-year-old black Labrador Retriever mix has encountered some bad luck, but is hoping that good luck is on its way. Gordon’s original owner lost his home, so that means Gordon lost his home too. The good news is that Gordon has five years of experience as a pet, and is more than ready to show potential adopters what a good boy he can be. Gordon is very mellow when he’s inside his kennel, spending most of his time snoozing on the doggy bed. But when he’s out and about, it’s like a flip gets switched and he becomes an active pup who just wants to run and play. Gordon joined me on the bench for a quick cuddle but was soon off romping again. Gordon was previously sharing his kennel with a smaller dog who has since been adopted, so we know he gets along with dogs and people alike. Stop by the shelter soon and turn Gordon’s frown upside down! 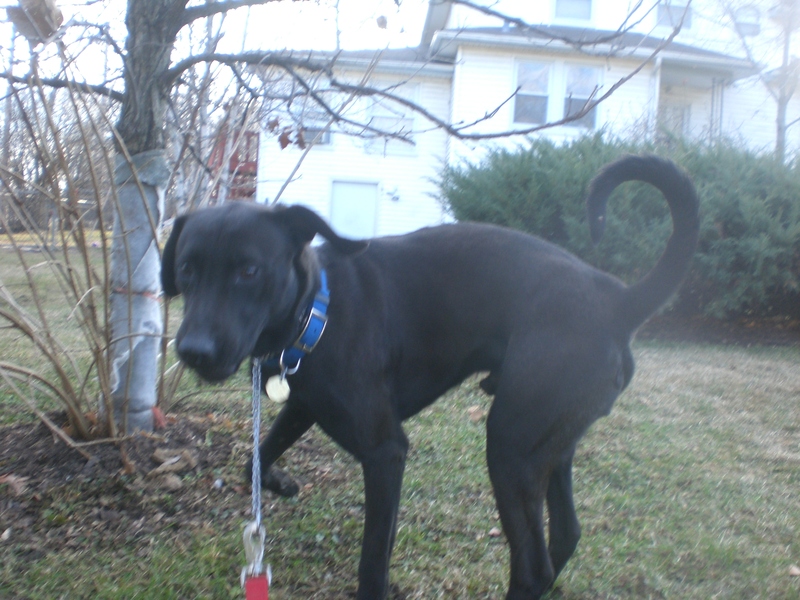 Yona the two-year-old black Labrador Retriever mix was very excited to come outside for a walk. He’s one of those dogs whose entire body wiggles when he wags his tail, and his tail wags plenty! 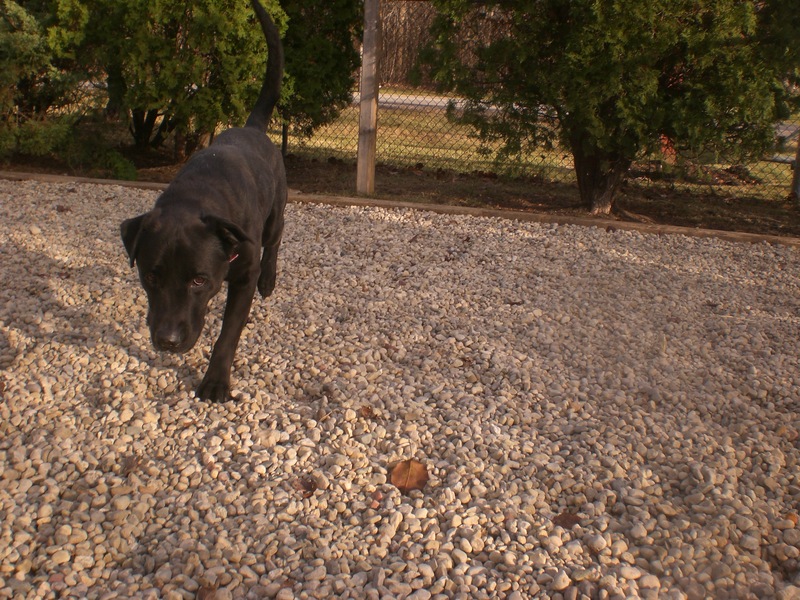 Yona is a little smaller than the average Lab, but despite his smaller stature, he still likes to be the leader. Yona has plenty of energy, considering he’s still young, and would love a family who can play with him and take him on nice walks. Yona sometimes pulls on the leash a bit when there’s a particular direction he wants to go in, but he was walking better the longer we were out. Come in soon to say hi to Yona! Yona is always on the move! Joy the seven-year-old Pit Bull Terrier mix came from a family that had a total of five dogs, which they realized was maybe too many. But what that means for potential adopters is that Joy has a lifetime of experience living in a home and sharing with other four-legged family members. She walks great on the leash and knows some basic commands. She’s home-ready! 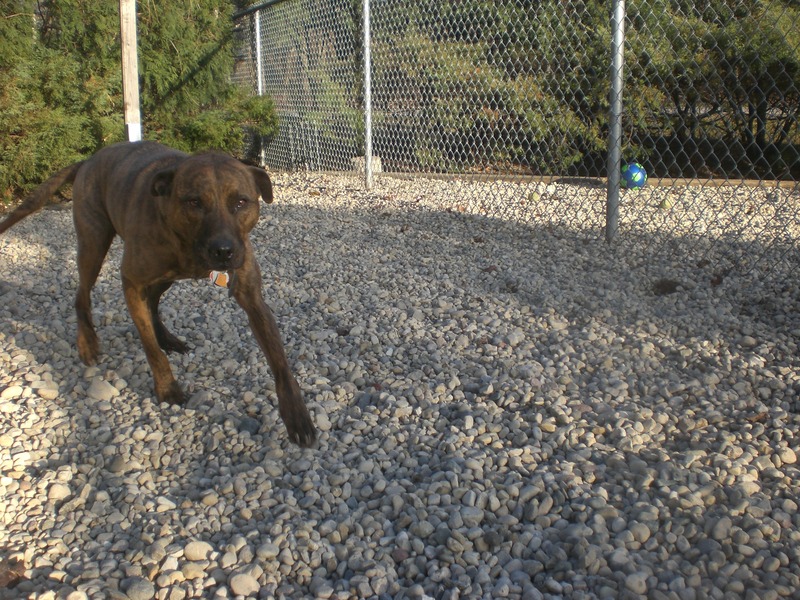 Joy is a volunteer favorite because she’s so easy to get along with and so well-behaved. She had a fun time exploring the off-leash run and politely greeted the dog on the other side of the fence. 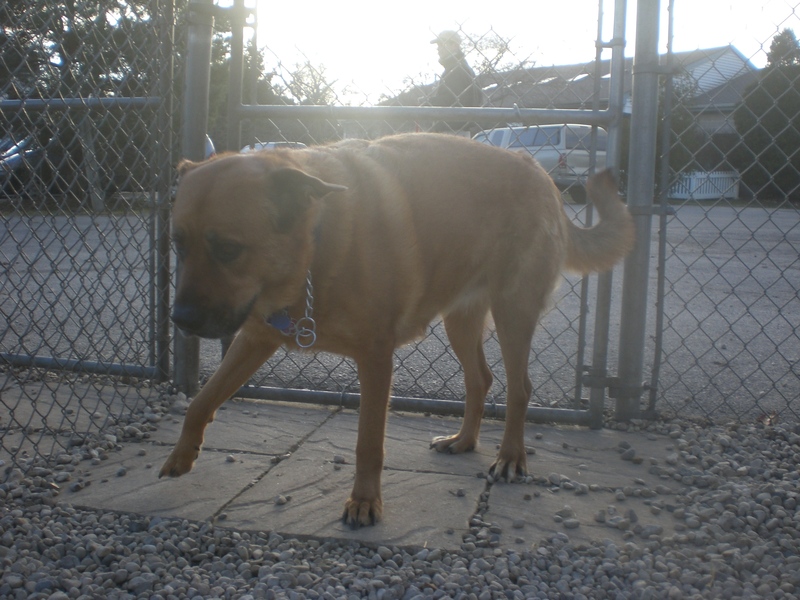 Joy has a kidney condition that staff at the shelter can help explain, but it certainly isn’t slowing her down! If you’re looking for a dog with being-a-pet experience, come in soon to meet Joy! 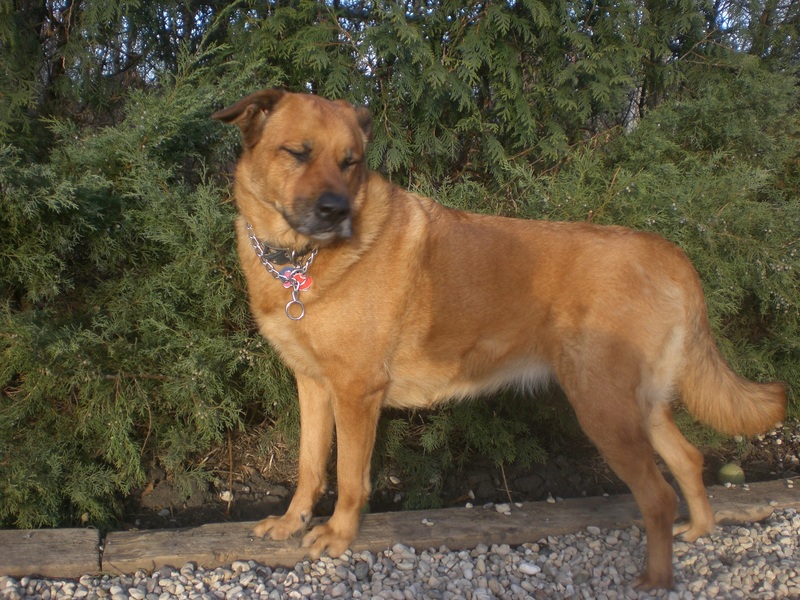 Aubrey the four-year-old Shepherd mix is yet another dog who came from a family. Unfortunately, Aubrey stopped getting along with the family cat, so she will need to be the only pet in her new home. Aubrey is a big, lovable girl with a big, loving heart that she is ready to share with her new family. Aubrey is well-trained: she is a good leash-walking buddy (though she does walk at a quick pace, since she takes big steps!) and knows her commands. She’d ideally like to have her own yard to explore. 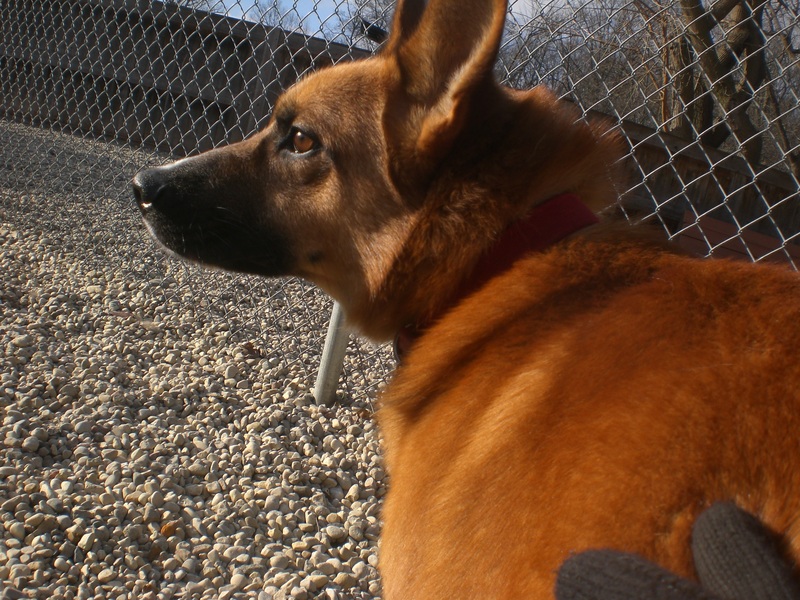 This sweet girl will happily be your cuddle-buddy during the cold winter months. Come into the shelter soon to see if Aubrey is right for you! Aubrey had the perfect pose, except her eyes were closed! I also saw Corky, Ebbie, Javan, Lucky, Ranger, Rocky, Rosco, Scotty, Shogun, and Zoey. Posted by Meet the Pooches on December 11, 2014 in Dog Profiles and tagged adopt, animal shelter, animals, Chicago, dogs, Labrador Retriever, Orphans of the Storm, pets, Pit Bull Terrier, Shepherd.